Update, November 27: instead of throttling your XP gains, it seems Bungie have instead doubled the amount you need to earn a loot box. After Bungie said Destiny 2’s controversial XP scaling system would be deactivated “effective immediately,” community testing suggests that you now need twice the previous amount of XP to gain a new level and, accordingly, a Bright Engram. Conquer the endgame with our Destiny 2 leveling guide. After Bungie’s promise to take the XP scaling system offline, a Redditor named Aercusset outto test the results. Aercus uses two measures: an imprecise estimate based on the in-game experience bar, and Destiny Item Manager (DIM), a third-party inventory management tool that draws data from the game’s API. Aercus does say that “the actual XP scaling has been conclusively removed post-update,” so the game no longer throttles your gains. Instead, it just takes twice as long to earn a Bright Engram. Bungie have yet to explain why they felt this was a necessary change, though it’s worth noting that this controversy came to a head over Thanksgiving, when much of the studio will have been preoccupied with the holidays. Hopefully we’ll see a more robust and forthcoming response this week – game director Luke Smith tweeted that we can expect an update on the economy and related gameplay systems, as well as answers to community feedback from himself and project lead Mark Noseworthy. Update, November 24:Bungie have deactivated Destiny 2’s controversial XP scaling system. After growing controversy that culminated in a massive Reddit breakdown of the system, Bungie are removing Destiny 2’s XP scaling system effective immediately. XP values will now be displayed consistently for all in-game activities. Bungie say XP earn rates will change for all activities, but that the UI will show the values consistently. The effects of this change will be monitored over the next week, and any further tweaks will be announced via official channels (Twitter, Facebook, and the website). Here’s Bungie’s statement. The benign assumption of this phenomenon is that it was a bug, but here Bungie are admitting that they designed a system to favour certain activities over others when it comes to XP rewards. 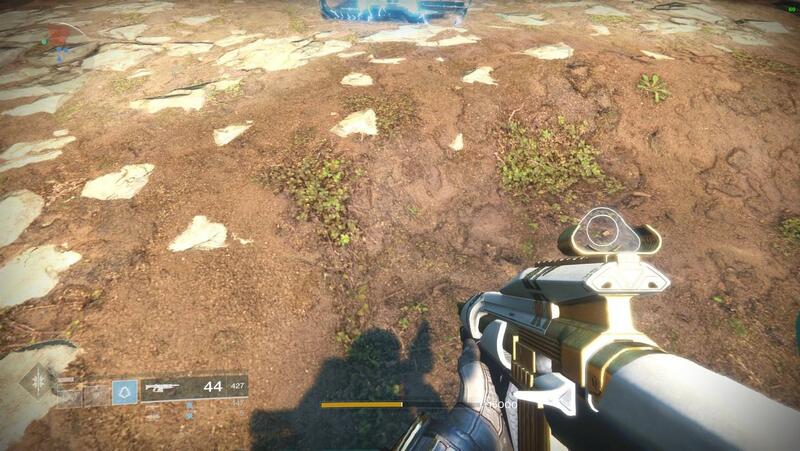 Bungie have said before they don’t wan’t Destiny to encourage tedious grinding – you may have heard of a certain ‘loot cave’ – so one can just about grasp their reasoning. Some in the community take the more cynical view that, by serving as a brake on cosmetic drops from gameplay, the system was designed to make microtransactions more appealing. Whichever explanation you buy, the undeniable problem is that Bungie didn’t tell anyone about this system, so once it was discovered (which was inevitable), it was only ever going to feel like a cruel surprise from the player’s perspective. Things get even shadier when you consider that you can buy XP boosting items for real money (such as Fireteam Medallions and the Pop-Tarts promotion), and here’s a system that appears to undermine at least part of their function. Update, November 23:An extensive look at Destiny 2’s XP systems reveal what’s actually going on when your earnings slow down. A thorough Reddit investigation into Destiny 2’s rumoured XP cooldown reveals that the game will reduce your XP rewards from activities if you earn them too quickly – apparently by as much as 95%. That’s according to an exhaustive report from Redditor EnergiserX, who has graphed out XP gain in a wide array of settings. Their TL;DR is that the game drops XP as normal if you’re playing slowly, reduces the rate by 50% if you’re playing normally, and drops by as much as 95% if you’re power-grinding. You can see the full results – including plenty of graphs – at the Destiny 2 subreddit. Experience has no gameplay impact in Destiny 2 once you’ve gotten through the story and hit the level cap, as it serves only to unlock Bright Engrams, which contain cosmetic items and trivially weak gear. But Bungie have put cosmetics at the centre of Destiny 2’s reward system – the most glaring example of which was the controversial decision to make shaders one-use items– and for many, filling out their fashion locker is a major reason to keep playing. It appears that Bungie have put an artificial brake on that progress and not told anyone, which is especially concerning when you consider that Bright Engrams can be purchased with real money. Original story, November 20:There is a cooldown on experience gains in Destiny 2, which effectively limits the rate at which you can earn its Bright Engram loot boxes through normal gameplay. Naturally, those loot boxes can also be purchased with real money via microtransactions. Players began to notice the cooldown two and a half weeks ago, with this post on Reddit giving an account of one such discovery. OP IbeLIEvel includes two gifs of him completing public events – in one, the UI indicates he is awarded 9,375 XP, and the XP bar fills by the appropriate amount. In the second – which he says was recorded just under five minutes later – the UI reads 11,563 XP, but the bar fills by much less. IbeLIEvel says he confirmed the discrepancy through Destiny Item Manager (aka DIM – an excellent inventory management tool which we recommend you use, by the way). As if to confirm their point, the top-voted reply is an imageof a fractional budge to the XP bar, when the UI indicates the gain should be 15,000. That’s with a fireteam booster, the 3x well-rested bonus, and the 2x Clarion Call bonus all active, according to the poster. Other replies on both threads have further anecdotes of the XP cooldown. 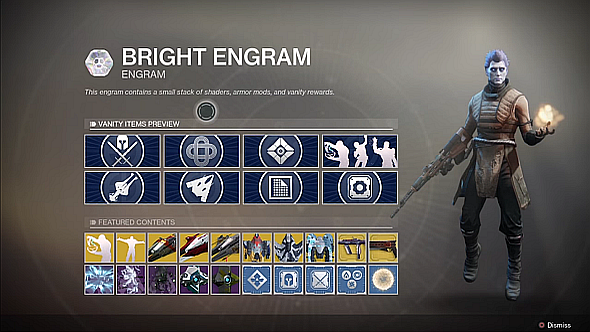 Once you hit the cap of 20, any further levels you gain in Destiny 2 will award Bright Engrams. These are the game’s loot boxes, which contain only cosmetic items (unless you count blue mods, which most players don’t, since their impact on the game is minimal – but that’s a whole other story). Hence, Clarion Call seems to have been designed as an exciting chance for players to earn cosmetics through gameplay at an accelerated rate, which is a cool idea that Bungie were under no obligation to implement. Sadly, it looks like it’s being hamstrung by this XP rate cap… which they were also under no obligation to implement. It’s not clear whether this is intentional or not. We’ve contacted Activision for a statement, and will update this story if and when we hear more.